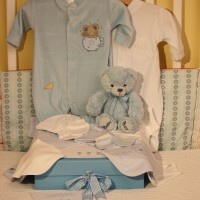 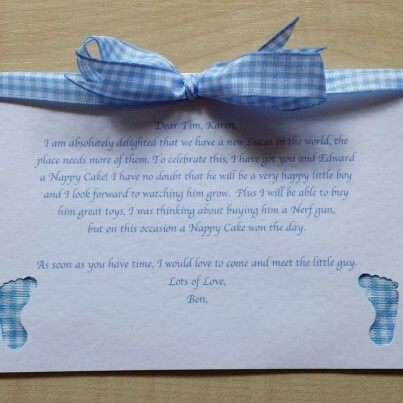 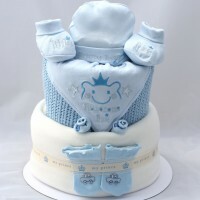 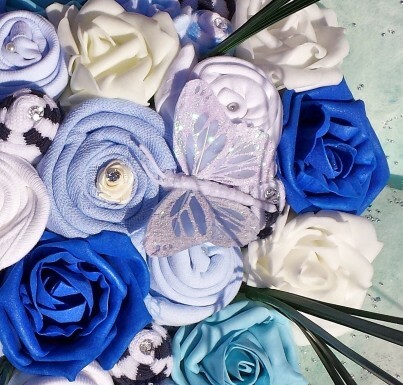 This is a stunning gift for any little baby boy and a perfect gift for a new mummy too. 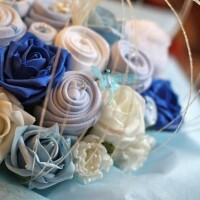 *mittens will be replaced by an extra bib if 3-6 months is chosen. 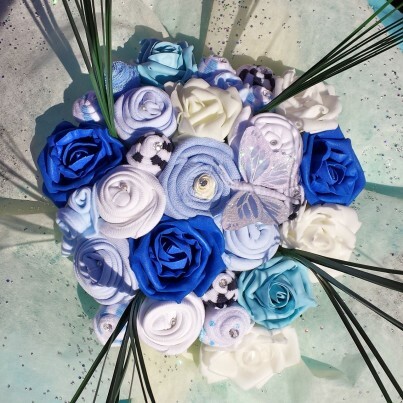 Beautifully presented, with colour co-ordinating web wrap and tissue paper and presented in a cardboard vase tied with ribbon. Please allow 2-4 days as our bouquets are made to order an then sent by courier on a next day delivery.